A few snakes sport a diamond pattern on their backs, which helps them avoid detection by both predators and prey. The contrast in the skin pattern makes it difficult to see the direction of movement of the snake. When it stops, it becomes hard to see in leaves or vegetation, providing it cover from predators and allowing it to pursue prey undetected. 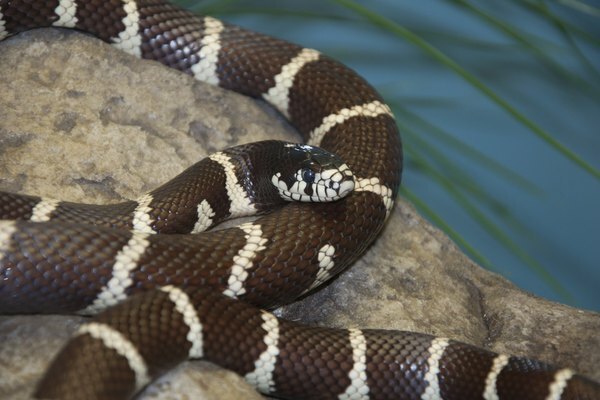 The California king snake found in the United States fits the description of a black snake with white markings. It is an egg-laying, nonvenomous snake that is active on the ground and will take in rodent burrows. This snake is called “king” snake because it will eat venomous snakes, as well as lizards, rodents, birds and eggs. It captures its prey by constriction. The scales are smooth, giving it a glossy appearance. Black rat snakes have skin showing around their scales which makes a small white diamond pattern. 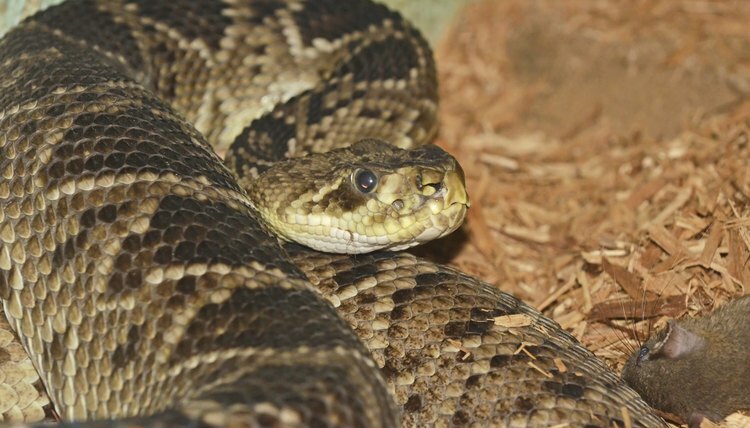 The egg-laying, nonvenomous snake hibernates and often enters homes because it is good at climbing. Rodents are their main food source, which explains their name. 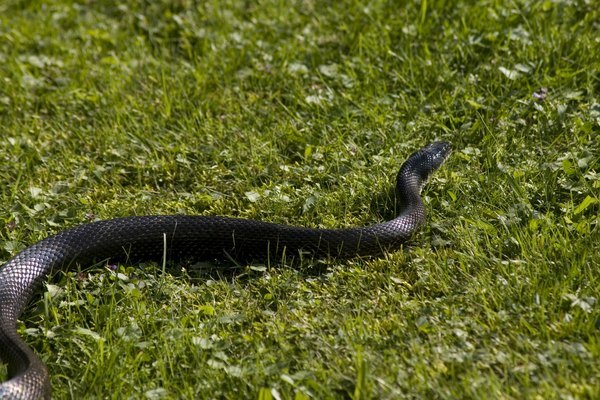 Rat snakes also eat frogs, birds and eggs. They grow up to 8 feet long and are common in the southeastern United States. 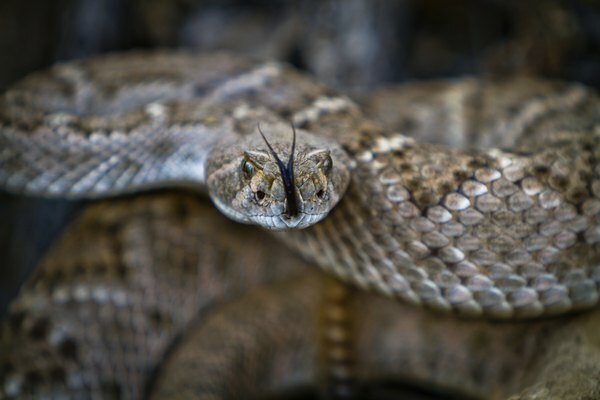 Native to the western United States, this snake is venomous and causes the highest amount of fatal snake bites. Its hunting ability is helped by a forked tongue that tastes the air for prey and heat-sensitive receptors in its nose that detect warm food sources even in the dark. They are born live, not in eggs, and from 10 inches at birth grow to a maximum of 6 feet. The venom affects the circulatory system of animals. This small viper is from Russia and Turkey. It is named after its habitat in the Caucasus Mountains. The females are longer and wider than the males, reaching a maximum of 60 centimeters. 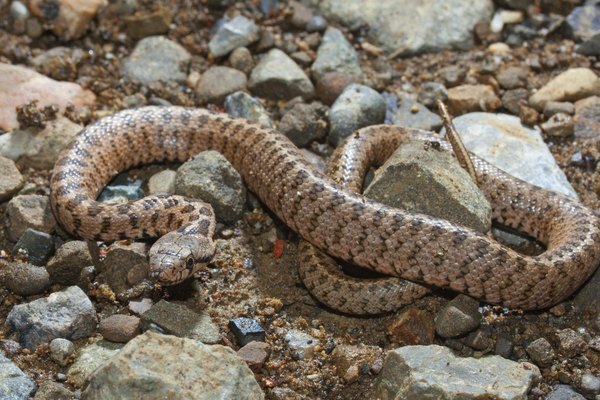 It is difficult to study these snakes because of the remote and mountainous region where they live. Significant poaching has lowered the population as well. Contrast colors can be red or brown, as well as white. Based in the Bay Area near San Jose, Calif., Louise Krona has been published in HIV research since 2000, including the journal "AIDS." She holds a Bachelor of Science in microbiology from the University of Massachusetts, as well as a certificate in clinical trials design and management from UC Santa Cruz.